I’ve stored fabric in so many different ways I can’t even begin to explain it! But what I can explain is that if you can’t see it – you’ll forget you have it if you have as much fabric as I do. This was my previous way of storing fabric. Which was actually working out quite well for me until I moved into my studio and didn’t take this handy cabinet with me.. 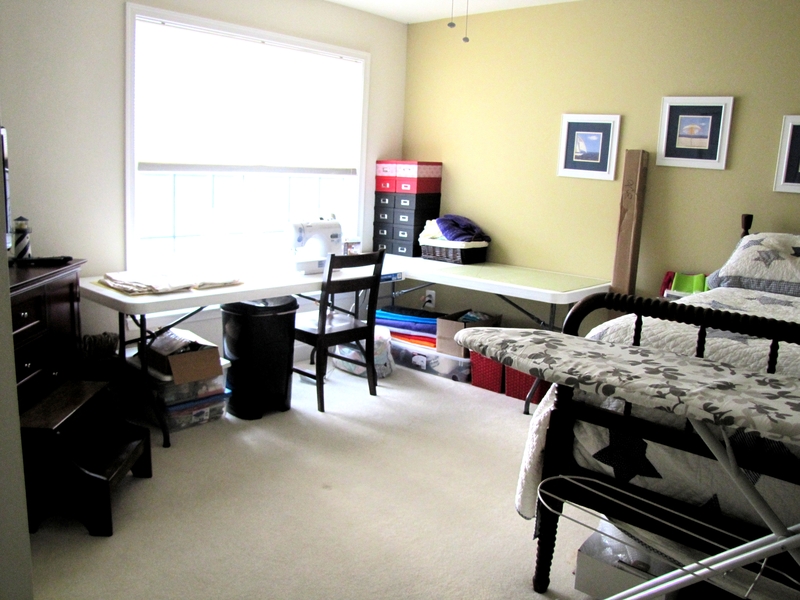 Under both tables you can see boxes and boxes stacked with fabric. One thing that I can’t stand – not being able to see fabric or having to search through, under, and around a pile just to find what I’m looking for. So what was my solution? Since that old cabinet is filled now with yarn and stock grocery items I had to come up with a better plan. I cleaned off this old shelves we had in storage that were holding paint cans. My dad is building a shelf to put all the cans on so I went ahead and snatched them up, cleaned them, and hauled them to the studio space. 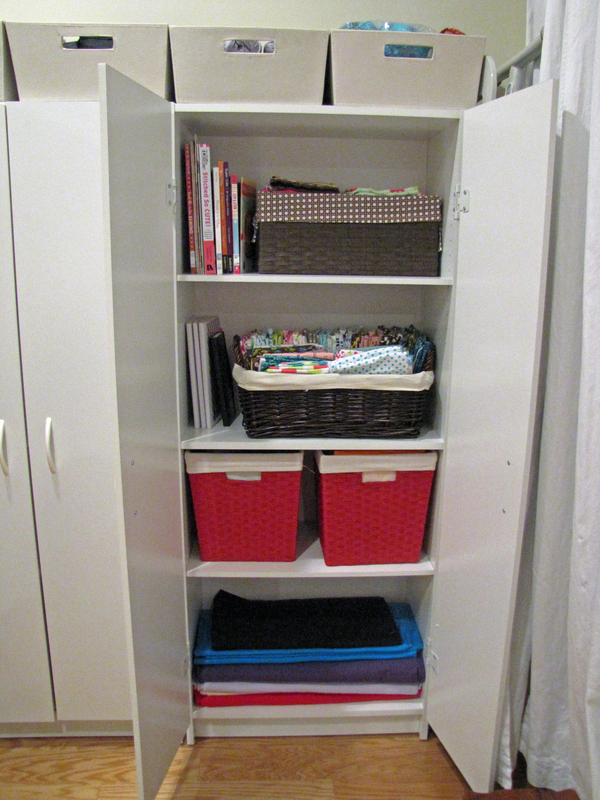 What a brilliant and decortaive way to store and organize your fabric. Thanks for sharing! Thanks! ❤ I love being able to see all the fabric – it's so much more convenient!